Dr Hassan Maghaireh is the head of the scientific committee at The British Academy of Implant & Restorative Dentistry (BAIRD). He completed five years training in various maxillofacial units in the UK, earning membership in the Royal College of Surgeons in Edinburgh through an examination. He gained a Clinical Masters degree in Implant Dentistry from the University of Manchester in 2008, winning the award for best clinical presentation. Dr Maghaireh maintains a private aesthetic implant referral practice in Leeds. He also acts as a mentor and honorary clinical teacher in implantology in the University of Manchester’s MSc Program. Dr Maghaireh published many clinical studies in peer-reviewed international journals. He has a special interest in immediate loading, peri-implant soft tissue management and managing aesthetic complications. He is also actively involved in the oral health group of the Cochrane collaboration, updating evidence-based systematic reviews on various topics related to dental implants. Dr Maghaireh is on the editorial board for the European Journal of Oral Implantology and he is the editorial director of Smile Dental Journal. He is the clinical director for the British Academy of Implant & Restorative Dentistry Implant courses in the UK, the United Arab Emirates, Jordan, Bahrain, Croatia, Bulgaria, Saudi Arabia and Qatar. 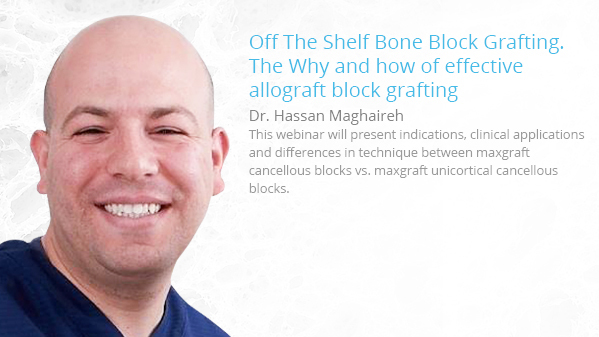 The dual nature of his clinical & evidence-based training means that Dr Maghaireh is a frequent author of dental literature, and a sought-after lecturer nationally and internationally.